Kobo offers a wide range of specialty ingredients for the benefit of personal care formulations including Binders, Fillers, Fibers, Gellants, and Scrubbing Beads. CHARCOAL POWDER: Natural, highly porous and fine black powder, easy to incorporate into formulas without producing a grainy aspect. NIKKOL POWDER SUGAR SQUALANE 03 provides skin care effect due to release of squalane, sebum absorption for long-lasting effect and prevention of caking and color change in powders. Ethyl Ascorbic Acid is a stable form of Vitamin C. It is a skin brightening active that inhibits melanogenesis, has anti-free-radicals activity and enhances skin metabolism. The strong cohesive properties of dry binders make them easier to disperse allowing the formulator to decrease the amount of lipids. They are also hydrophobic, and simplify the pressing of powders. MAKIBASE SEB is a vegetable-based, PEG-free, W/O emulsifier, which provides light and silky-smooth non-greasy feel. It is also good for cold process. The product range offers esters ranging in various properties such as oxidative stability, heat stability, compatibility, etc. Plandool™ are plant derived esters, with a range of melting points, consistencies and refractive indexes. They provide moisture retention to skin care, make-up and hair care products, add gloss and have high pigment dispersion ability. The product range offers extracts from plant origins ranging in various properties such as anti-aging, anti-wrinkle, moisturizing, etc. Fumed Silica dispersions are pre-dispersed high purity silica homogenized in a range of natural oils, silicone oils, or esters, which provide easily manageable and dust free gellants for oil phases and anhydrous formulas. MAKIMOUSSE Sodium Polyacrylate Starch gellants are ideal for Mousse extured products. AQUA KEEP 10SH-NFC is an extremely absorbent Sodium Polyacrylate powder thickener. Ikeda NOMCORT® Gellants range in various properties such as thickener and stabilizer in water-in-oil preparations. SUMECTON SAN-P and SUMECTON SWN are synthetic clay gellants, which help in dispersing pigments and building up shine in hot pours. Exilva is a natural, cellulose-based performance enhancer, with a unique 3D microfibrillar structure ideal to increase the viscosity and stability of formulas. Spherical beads that are used primarily for exfoliation. Magnesium sulfate is an inorganic salt, highly soluble in water and its dissolution is an exothermic reaction reaction: heat is given off. 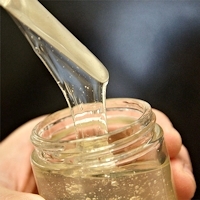 This property is used in personal care products to give a warm feel when the product containing MgSO4 is applied to the skin, which contains water. It can be used as a heat generating agent in a variety of anhydrous systems such as scrubs, gels, and lotions. CO40SS is Sodium Saccharine dispersed in Castor Oil use in lip products to give a slight sweet taste. WD-VCB25 is an aqueous dispersion of Charcoal Powder. BLACK NF is a fine black iron oxide powder. 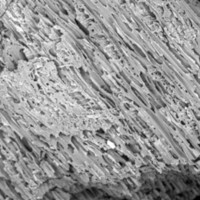 Its unique crystal structure gives a more intense, blue-black color compared to other iron oxides. MAKIGREEN LCS+ is an optimized combination of vegetable-origin surfactants used to solubilize many different oils in water. PM WAX 82 is a combination of Polyethylene (and) Microcrystalline waxes that can give structure and add rub-resistance to a formula. MAKIGREEN VELVET WAX POF is a natural wax that provides smooth, velvety skin feel and can help stabilize and thicken emulsions.